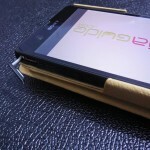 Speaking of premium leather case for phones, we have brought you today Xperia Z and Xperia SP Leather Case by Noreve St.Tropez for review. 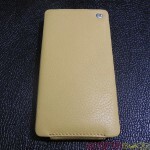 The finest leather quality we have seen till now for any smartphone’s leather cases. 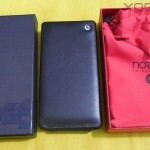 Noreve St.Tropez, from France manufacturers only the leather cases for phones and we tell you without any biasing, they have the awesome leather quality. 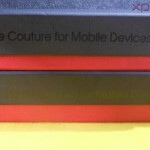 Xperia Z and Xperia SP Leather Case by Noreve comes in a black and red cardbox which has a texture just like wooden surface, loved the packing of case, having Noreve St.Tropez logo embossed on top right corner. 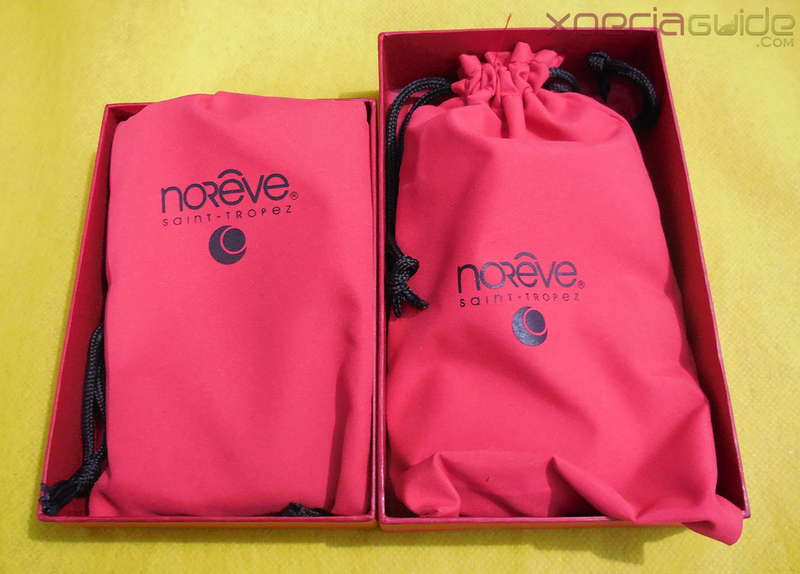 Cases are sealed inside a red color pouch, tied with a black knot. 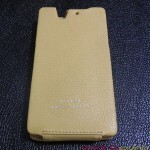 Have a look at the naked pic of Xperia Z and Xperia SP Leather Case by Noreve. 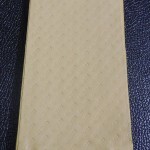 Both cases are stitched with a fine thread of the same color as of cases and leather has a very smooth touch. 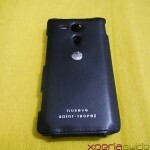 Xperia Z Leather Case by Noreve is an upside down leather case, stitched at the bottom flap. 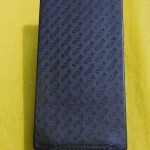 Inner lining is very smooth and has Noreve logo embossed everywhere. 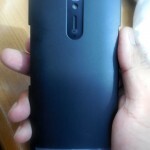 No scratches on screen from the inner lining. 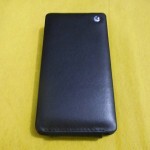 It has a fine leather texture on upside flap of case with a steel logo embossed on top right corner of case as “half-moon and a dot” as a brand identification mark. 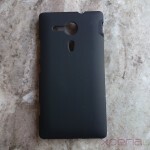 Xperia Z case has the same texture as on upside flap cover and as on backside. 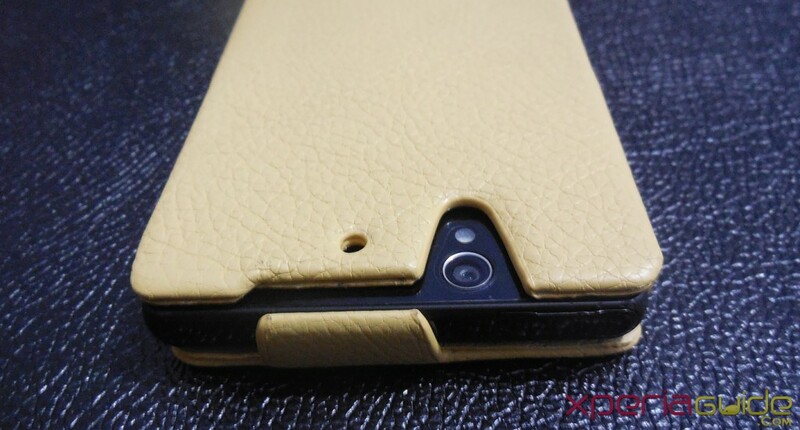 Xperia SP Leather Case by Noreve has the similar structure just like Xperia Z case but instead it has smooth leather finish on upside down flaps rather than any textured surface. 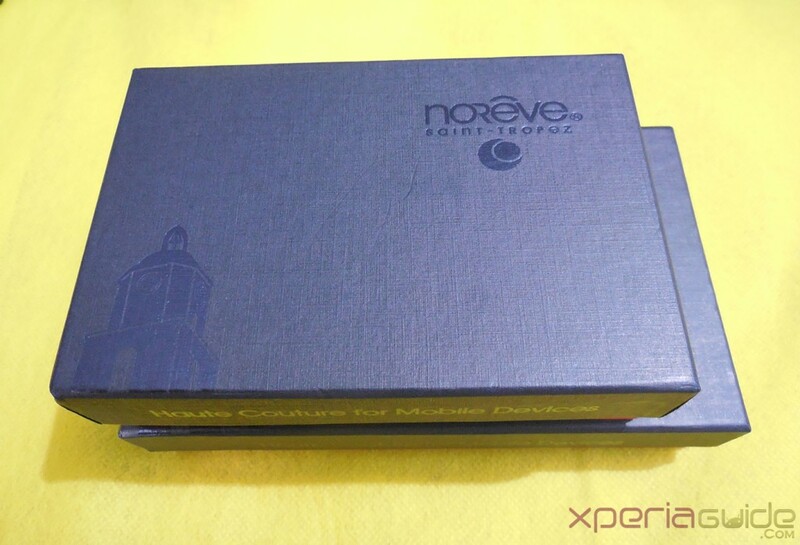 At the back of Xperia Z and Xperia SP Leather Case by Noreve, Noreve St.Tropez is embossed in silver color. 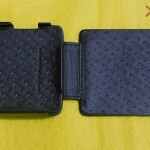 Upside flap of case don’t have any magnetic closure which we would have been preferred. 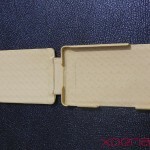 It just closes itself, but when trying to open it by its self closure strip, we find it very uncomfortable to do so. 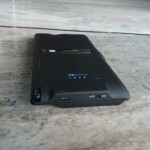 All the ports of phone are fully accessible after opening the upside flap of case. At the back the holes for rear camera-flash and the microphone is at proper place no objection in their positions. 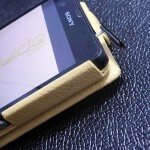 Speakers stainless steel mesh protector is provided at the back of Xperia SP leather case, to protect any unwanted damage to the speakers. 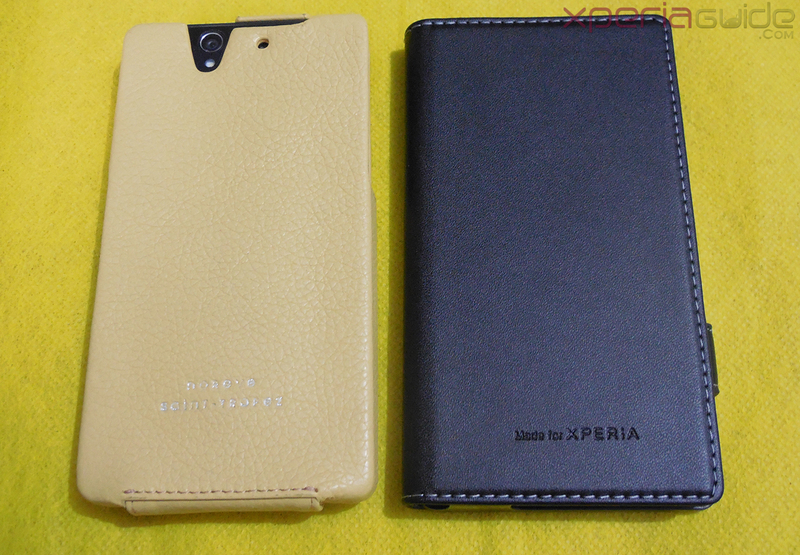 Leather used for making these Xperia Z and Xperia SP Leather Case by Noreve and can sustain daily wear and tear, though washable by the leather cleaning liquid, we did and it was fine. Both the upside down flaps are strong enough to protect it from any daily damage, don’t expect it to protect your phone from drop. 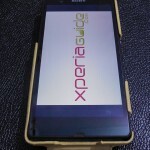 Easy Accessibility to all ports of phone. Strong enough for daily usage. Difficulty in opening the self closure flaps. 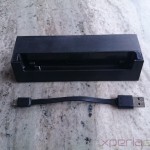 Speaker volume reduced in Xperia SP due to stainless steel mesh protector. Stretch marks at the bottom stitched strip. Uncomfortable to touch the onscreen soft keys of phone. 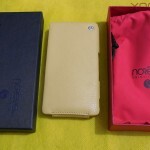 When comparing the leather quality of Xperia Z and Xperia SP Leather Case by Noreve with the Roxfit Xperia Z Flip Case, Noreve’s quality is a lot better. You get a premium feel while holding the cases. 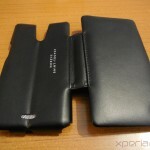 Xperia Z and Xperia SP Leather Case by Noreve are the best ones till now we have seen in terms of leather quality. 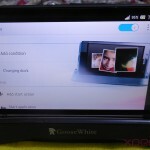 Though in accessing the on-screen keys on phone we had some trouble but can be avoided when used to. 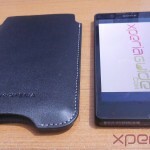 Overall we loved the design and quality of Xperia Z and Xperia SP Leather Case by Noreve. 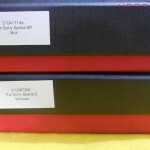 You get to choose your own color of the case and even textures also you can design and order, Xperia SP Leather Case by Noreve costs 49.99€ and Xperia Z Leather case by Noreve costs 54.99€. Thanks Noreve for providing us Xperia Z Case and Xperia SP Leather Case for review. 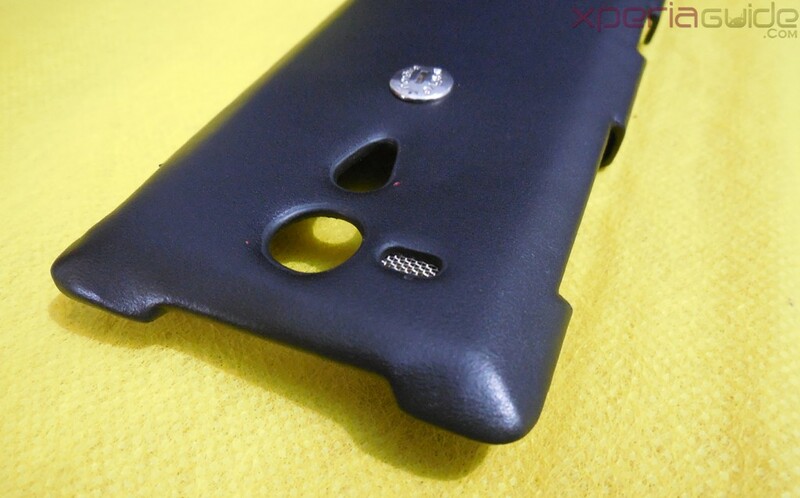 Recommended product if you are looking for upside down cases for your Xperia Z and Xperia SP. 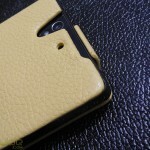 wow that leather case for SP is amazing….. Someone plz tell me a good case for SP so tht the LED strips can be seen frm backside.I have searched hell for a cover/case which doesn’t hide the back LED strip of SP…. 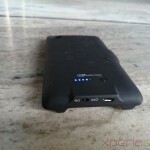 What type of case you need ? 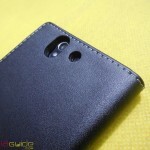 Well certainly all leather flip covers will cover the backlight illumination bar. 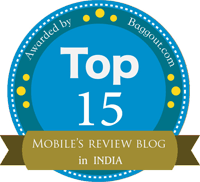 oo thanks…but really satisfied with my leather case…. Goin to upgrade my SP to .250.Should I factory reset SP for a clean install…? Have you got jb .250 notification ??? 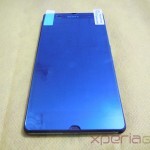 When will come Casey for Xperia Z3 Compact?